Common joint injuries include shoulder injuries, elbow injuries, and knee injuries. Common shoulder injuries include rotator cuff tears, dislocation, and separated shoulder. Common elbow injuries are primarily due to overuse. These include tennis elbow and golfer’s elbow. Common knee injuries can be due to overuse or due to traumatic tears, such as the common ACL tear that occurs most often in sports. ACL: The most commonly injured ligament of the knee. This instability increases the likelihood of joint injury, often leading to a degenerative process in which tissues break down and no longer function well. The term “rotator cuff” refers to a group of four tendons that blend together as they attach to the upper end of the arm bone (humerus). Normally these tendons transmit the force of muscles originating on the shoulder Blase (scapula) to the arm providing motion and stability. Defects in the rotator cuff can come from an injury (cuff tear) or from degeneration (cuff wear). The degree to which a tendon is reparable depends on its quantity and quality. Degenerated tendons are often frail and retracted and may not be amenable to repair. Individuals that are elderly, smokers, or those having had cortisone injections often have weaker tendon tissue that fails without a significant injury. By contrast, those whose tendon was torn by a substantial fall often have good quality tendon that can be repaired if surgery is performed promptly after the injury. The shoulder joint is the most frequently dislocated major joint of the body. In a typical case of a dislocated shoulder, a strong force that pulls the shoulder outward (abduction) or extreme rotation of the joint pops the ball of the humerus out of the shoulder socket. Dislocation commonly occurs when there is a backward pull on the arm that either catches the muscles unprepared to resist or overwhelms the muscles. When a shoulder dislocates frequently, the condition is referred to as shoulder instability. A partial dislocation where the upper arm bone is partially in and partially out of the socket is called a subluxation. 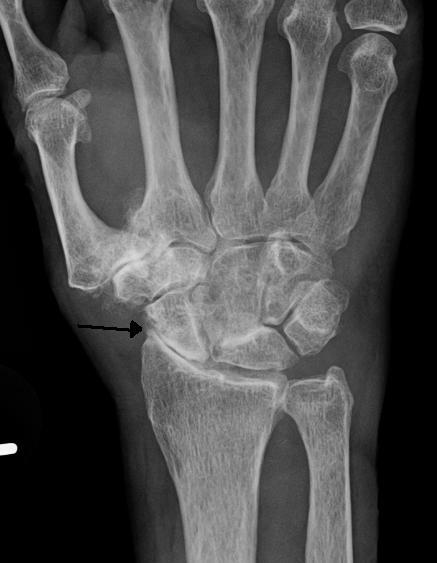 In the medical community, dislocation is commonly referred to as luxation. A shoulder separation occurs where the collarbone (clavicle) meets the shoulder blade (scapula). When ligaments that hold the AC (acromioclavicular) joint together are partially or completely torn, the outer end of the clavicle may slip out of place, preventing it from properly meeting the scapula. Most often the injury is caused by a blow to the shoulder or by falling on an outstretched hand. After injury it is hard to do a 180 degrees rotation. Two of the most common injuries at the elbow are overuse injuries: tennis elbow and golfer’s elbow. Golfer’s elbow involves the tendon of the common flexor origin which originates at the medial epicondyle of the humerus (the “inside” of the elbow). Tennis elbow is the equivalent injury, but at the common extensor origin (the lateral epicondyle of the humerus). There are three bones at the elbow joint, and any combination of these bones may be involved in a fracture of the elbow. Knee pain can be caused by trauma, misalignment, and degeneration as well as by conditions like arthritis. The most common knee disorder is generally known as patellofemoral syndrome.The majority of minor cases of knee pain can be treated at home with rest and ice but more serious injuries do require surgical care. Physical fitness is related integrally to the development of knee problems. The same activity such as climbing stairs may cause pain from patellofemoral compression for someone who is physically unfit, but not for someone else (or even for that person at a different time). The anterior cruciate ligament (ACL) is the most commonly injured ligament of the knee. 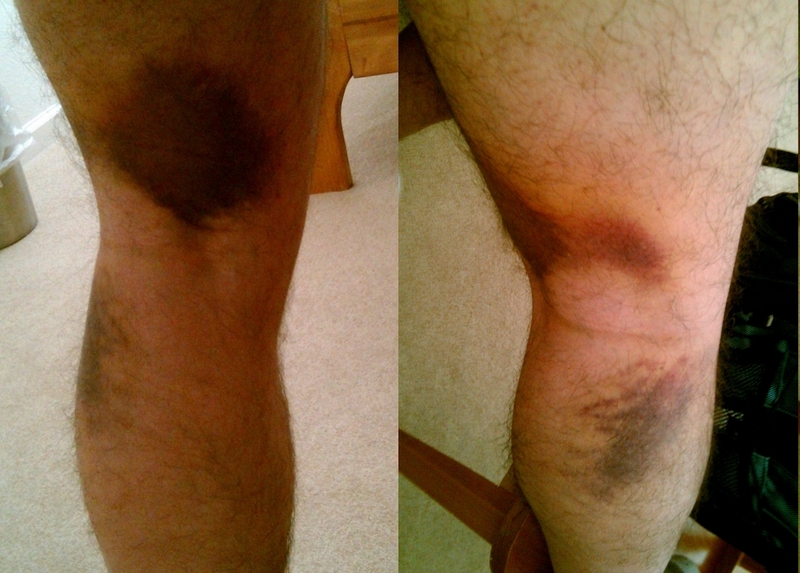 The injury is common during sports. Twisting of the knee is a common cause of over-stretching or tearing the ACL. When the ACL is injured a popping sound may be heard, and the leg may suddenly give out. Besides swelling and pain, walking may be painful and the knee will feel unstable. Minor tears of the anterior cruciate ligament may heal over time, but a torn ACL requires surgery. After surgery, recovery is prolonged and low impact exercises are recommended to strengthen the joint.